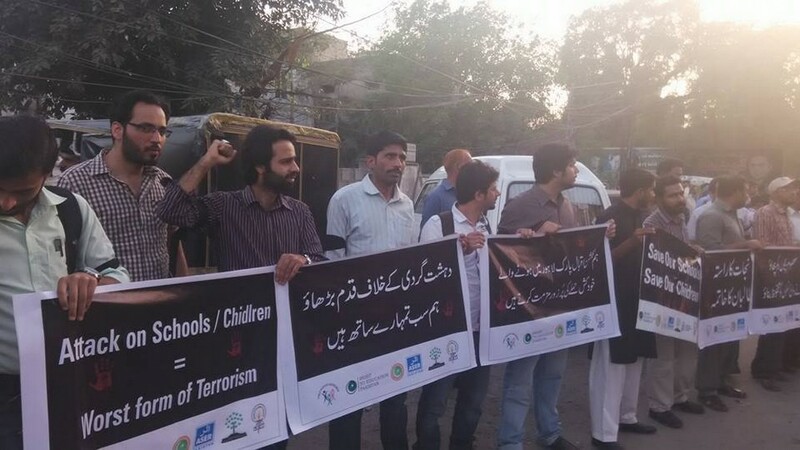 Civil Society Organizations condemned the brutal suicide attack on innocent children and women in Gulshan Iqbal Park Lahore. 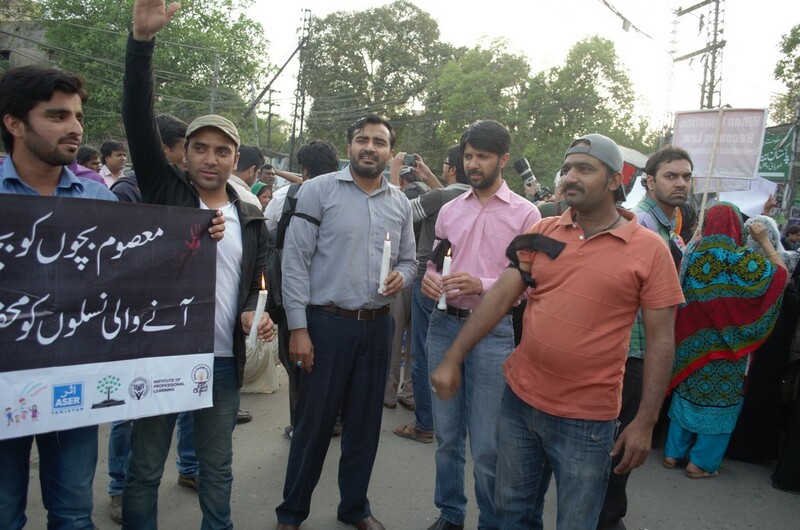 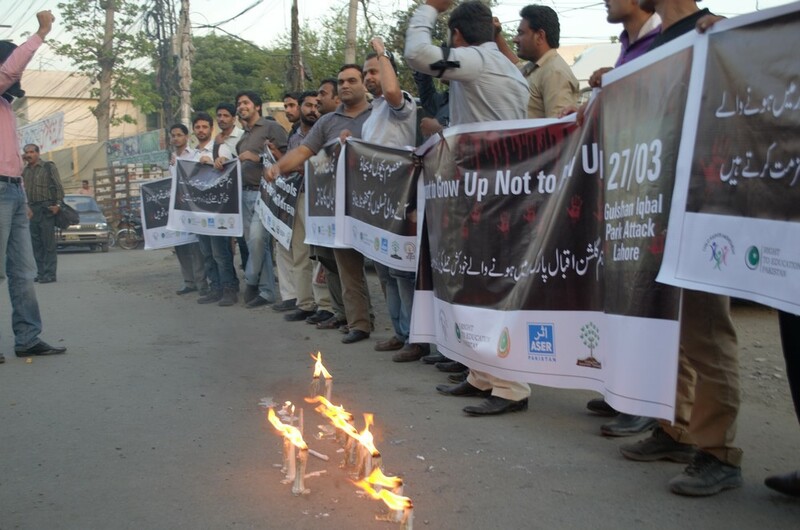 Civil Society Organizations Idara-Taleem-0-Agahi (ITA) and Child Rights Movement (Punjab) hold a vigil in front of Lahore Press Club to pay tribute to those who have lost their lives. 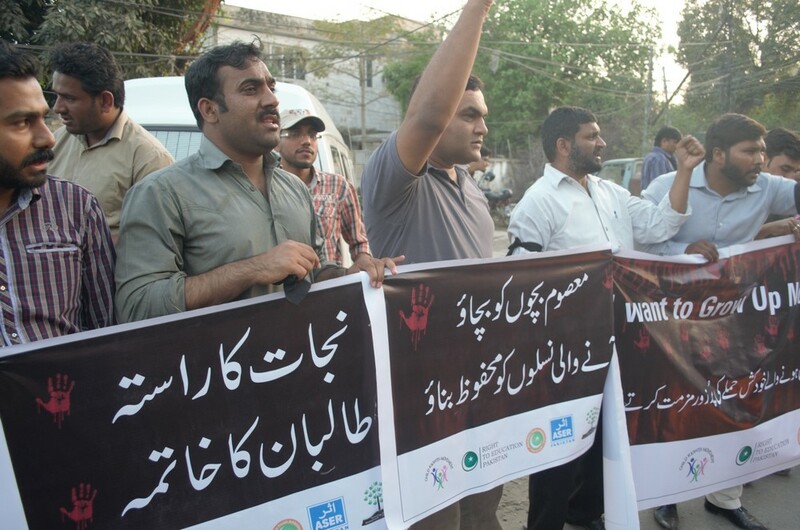 Civil Society demanded that Government should took strict action against the terrorist groups to break the cycle of terrorism and to save the innocent human lives. 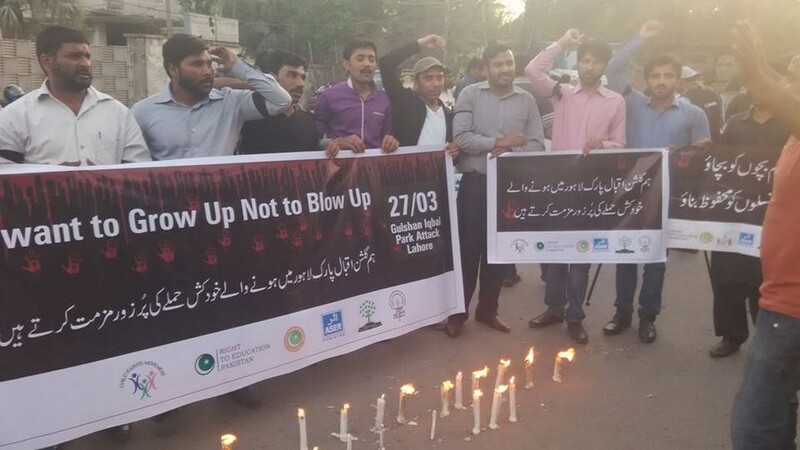 Rights activists demanded that Government of Punjab make sure the Psychological rehabilitation services for victims of attack and their families. 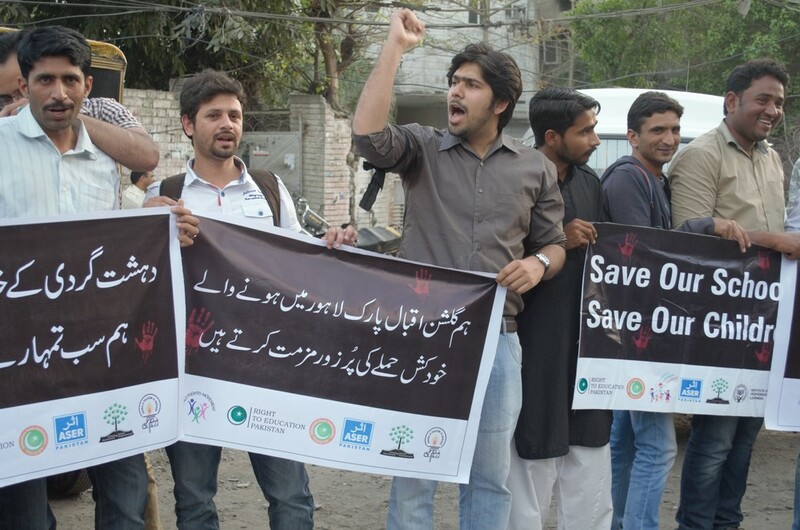 They also demanded that necessary measures should be introduced to prevent such incidents in future. 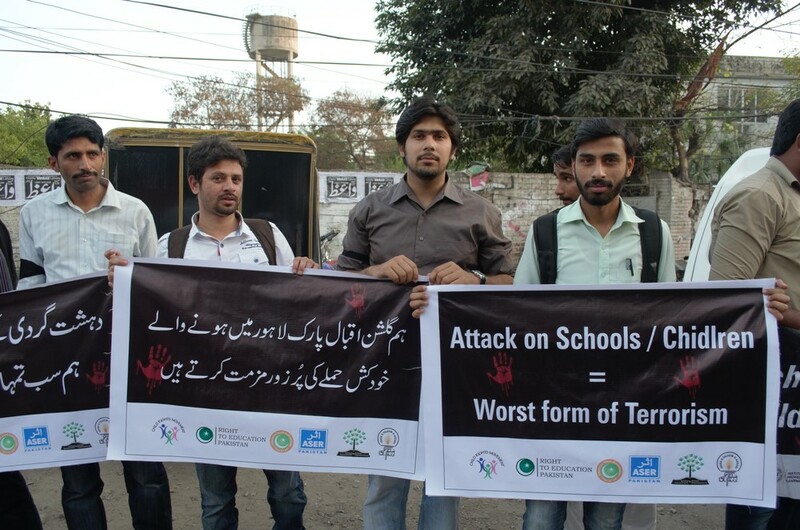 "To promote education as a comprehensive process for human and social transformation"